Twenty classic and two all new stories explore three realms, in one visionary collection For three decades, Lawrence C. Connolly has defied category, writing across genre to create stories where dreams are reality, the future is now, and a lone madman may be the sanest person in the room. 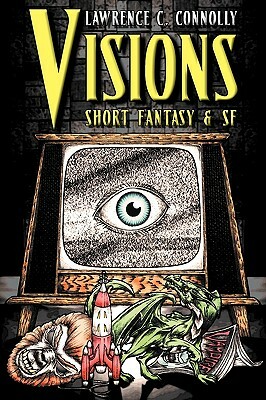 Presented here with all new introductions that discuss the origins of the stories and featuring a retrospective essay about the road to publication and beyond, Visions: Fantasy & SF is a must for lovers of dark fantasy, science fiction, and heroic adventure. Hold the book. Behold the visions.